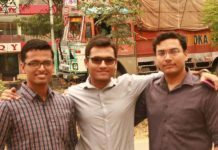 Mumbai-based online logistics startup TransportEG has raised ₹13 crores ($1.9 million) from the private equity arm of Infrastructure Leasing & Financial Services (IL&FS). Investment banking firm Edifice Capital Advisory Services acted as the adviser for the transaction. TransportEG had earlier raised angel funding from Israel-based Goldratt Group in 2016. The funds raised will be used to boost its product and technology features, along with expanding and hiring talent. Operated by Caliper Business Solutions Pvt Ltd, TransportEG was founded by Siddaraju HV, along with Krishna Guha in 2015. It aims to provide a robust infrastructure for transportation service providers and service seekers. It uses the latest technologies and insights to enable mutually beneficial partnerships. The company claims that one of the biggest benefits to the customers is that they can order truck haulage services through the spot market, which is a very efficient way of doing business. With over 1,400 transporters, the platform provides 95,000 trucks, processing transporting contracts valued ₹350 crores every month. The startup also claims to have more than 35 corporate clients across 20 verticals. Other players in the logistics domain include FreightBazaar, a freight aggregator that had raised an undisclosed amount of funding in pre-Series A round led by Omphalos Ventures India. 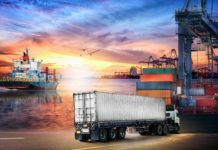 While last mile logistics provider LetsTransport had raised $15 million from new and existing investors in February this year. Other well-funded startups in the broader tech-enabled logistics domain include e-commerce logistics company XpressBees, Gurugram-based logistics startup Delhivery, and end-to-end logistics service provider Ecom Express.